Cotton will draft freely with almost no twist. Cotton has a staple length between 5/8 and 1 1/2 inches. The appropriate size yarns will be fine yarns. The fat and skinny yarn limits. On the coarse end of cotton it does not go bulky... When you do this you lose your strength. It is hard to get enough twist on the fiber to fiber ratio. One of the tools used to spin cotton is a charka. It is a drive wheel that spins a spindle. Similar to a drop spindle you need to wind the yarn on yourself. Cotton joins. Scary to me. To do a join lay the yarn on top of the fiber on top and let it go and give a little bit of pull. I tried spinning some cotton that I had found in my stash... What a disaster. Then I got some cotton cards and made a rolag. What a difference... So much easier. Still not easy. I find that if I separate the drafting and then add the additional twist, as Stephanie suggested it works better. Remember to pinch off the top of the yarn when you are adding the twist. I found I did better with one of my small spindles as opposed to my tahkli . Of course I had to do joins..and they were not as bad as I expected. I think it will be a while before I feel ok to do this on a wheel. 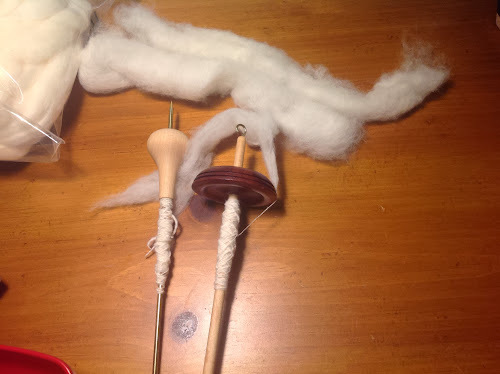 The nice thing about using a spindle is that you can take it as slow as you need to. If you seem to be having a really rough go of it. It might have something to do with your cotton. I have two types and one is easier to spin than the other. 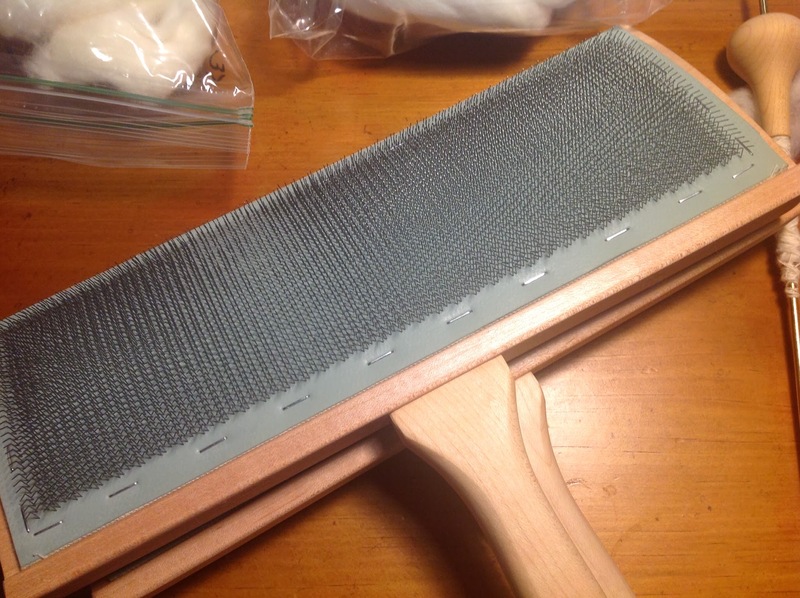 The one is smoother and flatter than the other. The fluffy more disheveled cotton is easier to spin and make into a rolag. Here are some pictures.. These are of my easier to spin cotton.